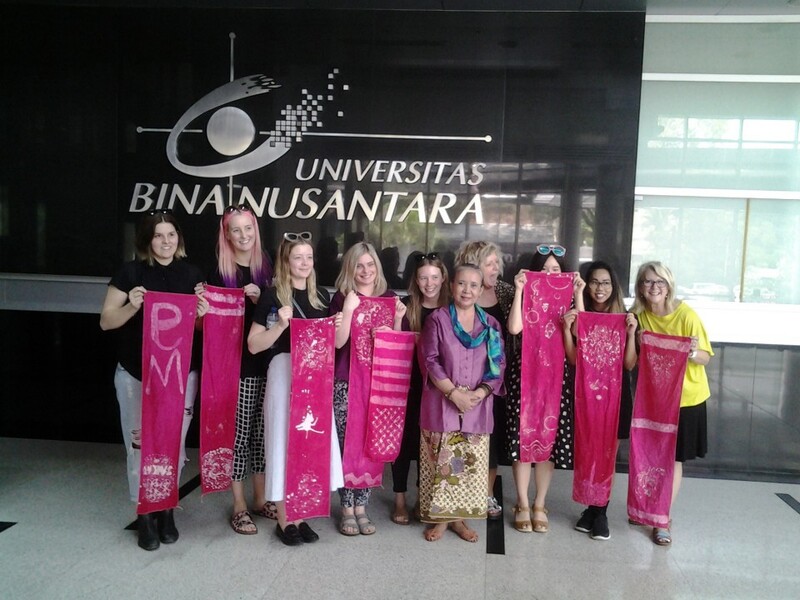 From the August 30 to September 6, eight students and two staff members of Queensland University of Technology (QUT), Australia, visited Indonesia. The visit is a series of scholarship programs called the ‘New Colombo Plan’ from the Australian government for educational institutes. The eight students received scholarships from the Australian government. The purpose of the program itself was to broaden the horizon of Australian students. It is hoped that the Australian students can return to their country with more knowledge about other countries. BINUS INTERNATIONAL was chosen by QUT to be the partner for their visit. The first partnership between the two institutes took place two years ago. 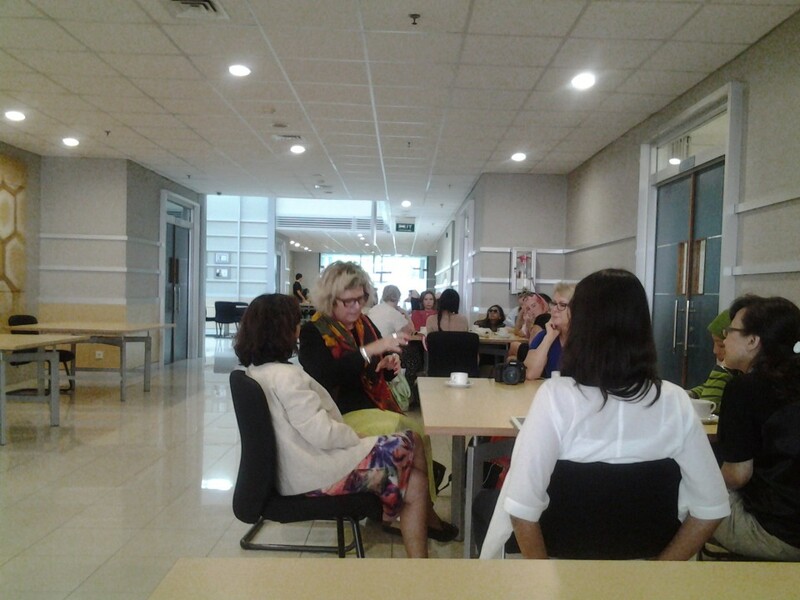 In the seven day visit, the QUT group went to events in Jakarta. The whole agenda was designed for the participantswho were students of Fashion Design. A series of events were held according to the needs of the participants, in order for them to gain more references and knowledge of Indonesia’s fashion scene, especially Jakarta’s urban influence. Their program began with a visit to Alun-Alun Nusantara, Grand Indonesia. There, the participants attended an exhibition of the famous Indonesian fashion designer, Merdi Sihombing. On the second day, the participants visited the textile museum where the participants were given a tutorial in making tie dye. Merdi then introduced kain ulos, a fabric originally from the Batak people of Sumatra, to the participants. Many of the participants were amazed at the beauty of Indonesian clothes. On the third day, they were invited to visit the JWC campus. Here, the participants joined the introduction session about Indonesian people and culture. 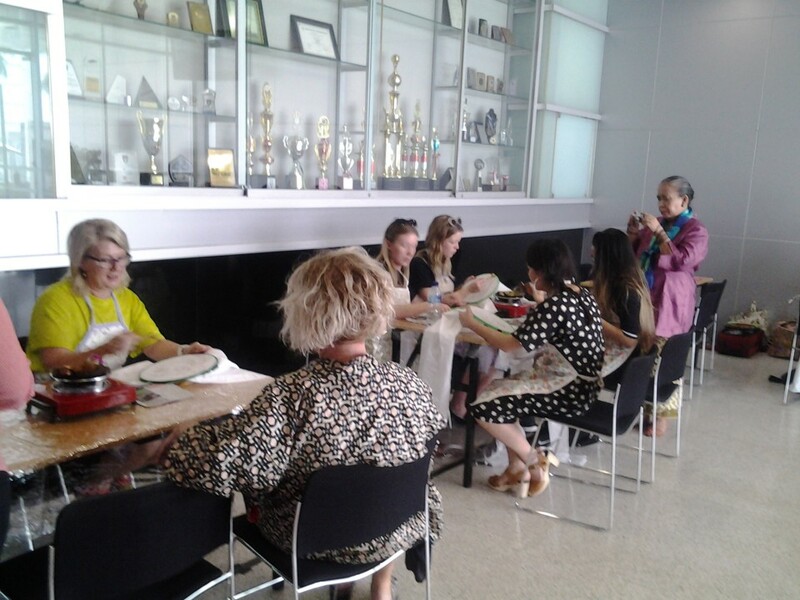 The visit was used by the students from QUT as well as BINUS to trade information and knowledge about fashion. The participants also got the chance to see the students’ artwork from the BINUS Northumbria School of Design (BNSD). 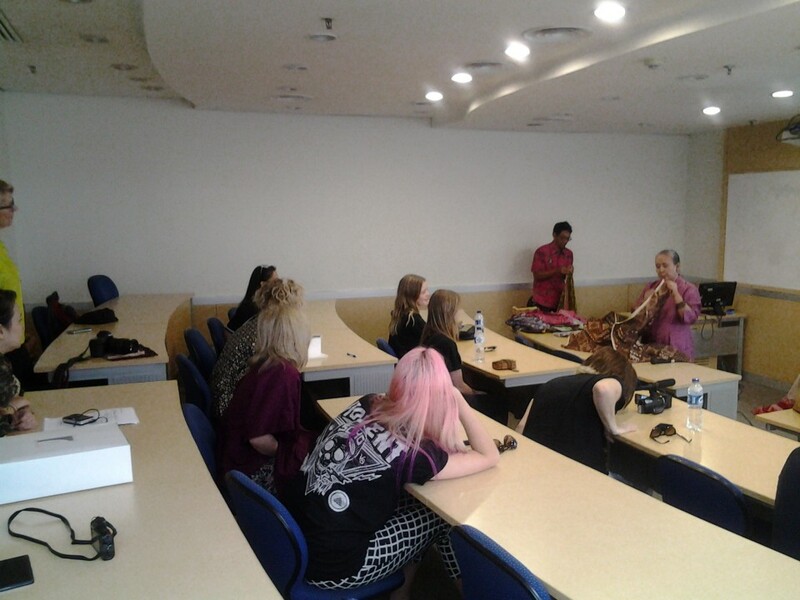 The next day, the participants learned about batik from Dr Indra Tjahjani, a batik expert, and received a tutorial about how to make batik.At night, the participants prepared a fashion show of their own in the house of the Ambassador of Australia, in Menteng. On the fifth day, they visited Pasaraya Grande and Kawasan Perbelanjaan Tanah Abang to see authentic Indonesian materials. The participants enjoyed their experience there. At night, the participants attended an invitation from a famous Indonesian designer, Anne Avantie who was celebrating her 25th anniversary with a ‘Merenda Kasih’ theme. On day six, the participants went to Instyle Magazine Indonesia and The Goods Dept and Galeries Lafayete. Here, the participants learned many things about urban fashion in Jakarta. On the last day of the visit, they went to a boutique owned by Ferry Sunarto. The participants were happy with their visit, especially since it was the first time for them to visit Indonesia.